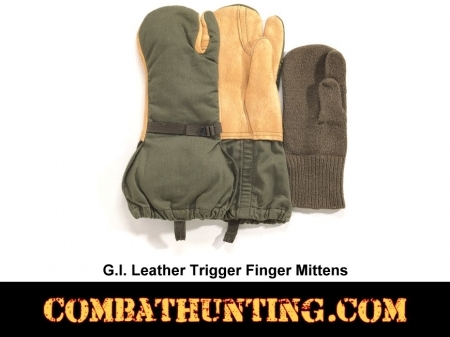 GI Leather Trigger Finger Mittens, Leather Palm, Canvas Back, Leaves The Index Finger Operational While Encasing You Forearm To Mitten Tip. Ideal For Outdoor Extreme Weather Where Dexterity Is Needed. Very Good As Ski Gloves & Hunting. Wool Liner Sold Separate.